You may recall that aging plutonium was the first rationale for the Reliable Replacement Warhead (RRW) Program. Plutonium only exists naturally in trace amounts and is made in nuclear reactors. Since plutonium was first created during World War II, no one really knew how it would behave in the future as it continued to age. It was possible that the plutonium would degrade in a way that would have a negative effect on weapon performance. So there was legitimate cause for concern. The working assumption on the part of the weapons laboratories was that the effective “lifetime” of plutonium was 45 to 60 years. Most primary types have credible minimum lifetimes in excess of 100 years as regards aging of plutonium; those with assessed minimum lifetimes of 100 years or less have clear mitigation paths that are proposed and/or being implemented. 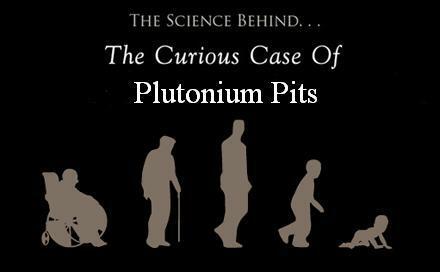 The problem of plutonium aging was not much discussed by the National Nuclear Security Administration (NNSA) after that. Instead, talk turned to the purported problems that would result if weapons underwent successive life-extension programs (which JASON dismissed in another report, but that’s another story). The plutonium aging experiments are, quite sensibly, continuing and each year the samples age another 16 years. Four years later, we’re up to 164 years old! I don’t know the results, but I suspect no news is good news. If the experiments had resulted in plutonium degradation, we would surely have heard about it. With every passing year, the plutonium lifetime increases and the plutonium in U.S. weapons just keeps getting younger and younger.